One of the most delicious desserts is San rival but be careful of the calories you will get from a slice of it. Who cares! 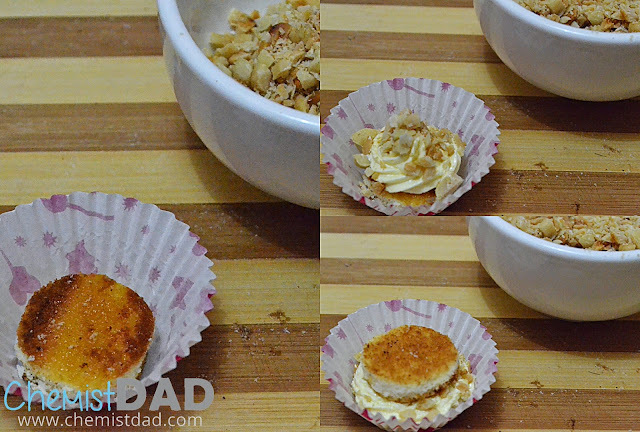 Do not deprive your self from eating such mouthwatering desserts. You can burn the calories in just 30 minutes of dancing or walking though. As chemist, I love doing experiments. I am glad to share my latest experiment in my favorite laboratory - the kitchen. I made sans rival with a twist. I made it into a cup cake. And to add more twist, I made it a no-bake version. How? I used Lemon Square Inipit. I toast for about a minute or two, pressed and cut it using cookie cutter. Prepare the butter-cream boiled icing. 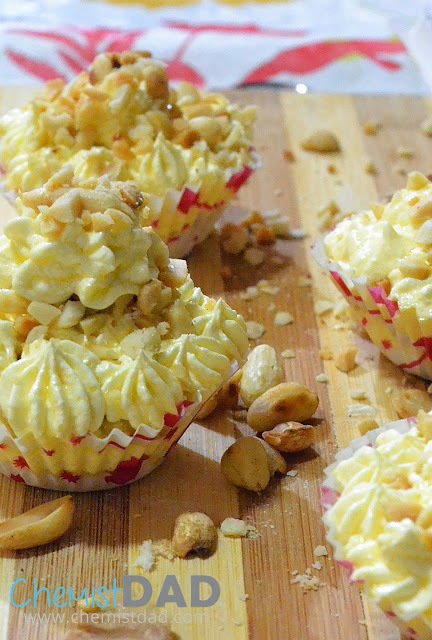 Made an alternate layer of meringue, filling and chopped nuts until the cup is filled then topped with chopped nuts. As a rule of thumb, never work in the laboratory alone. 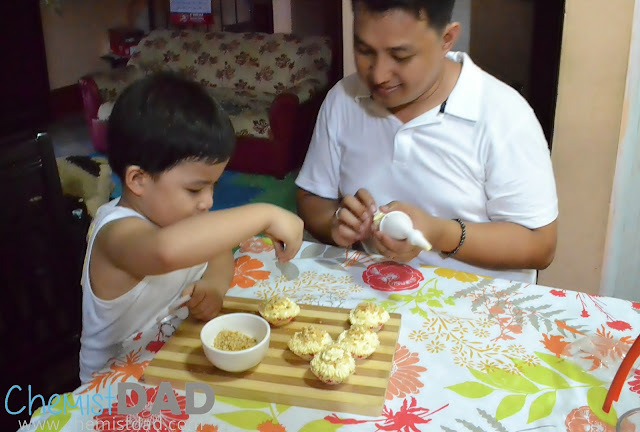 therefore, I let Matthew to help me in doing this "experiment". Doing such activities brings me back to my childhood. 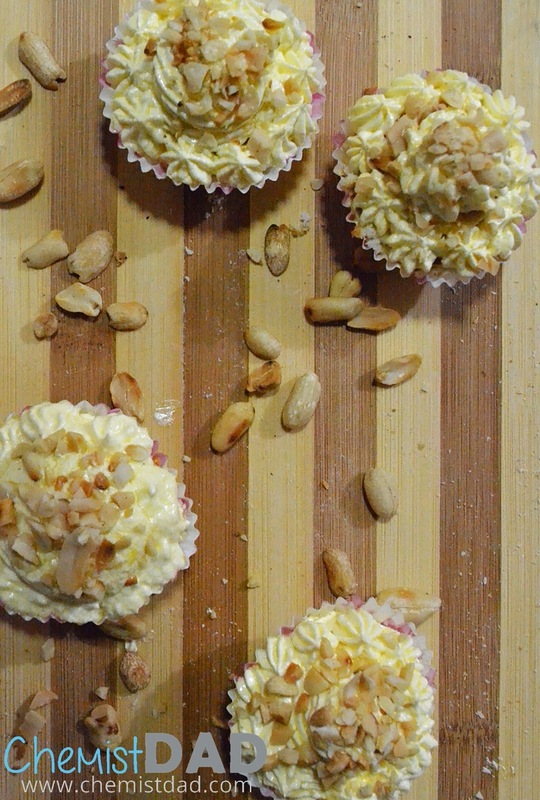 Here is my recipe of No-Bake Sans Rival Cupcakes using Lemon Square Inipit. 1. Cut Lemon Square Inipit horizontally. 2. 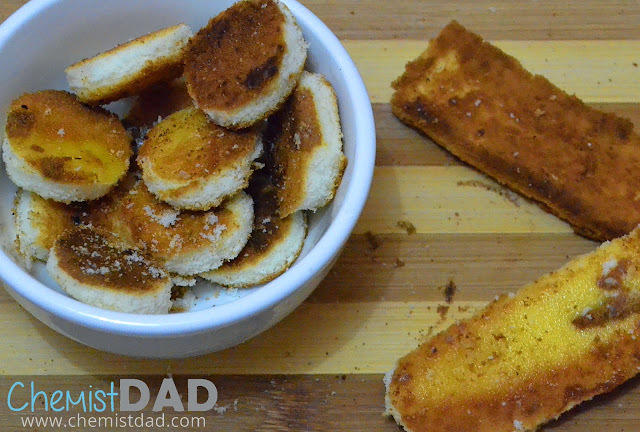 Toast for about 1-2 minutes. Cool. 3. Cut into circles using cookie cutter. 1. In a sauce pan, mix powdered sugar and water. 2. Bring to boil and simmer for about 4 minutes. 3. Beat egg yolk and vanilla in high speed. 4. 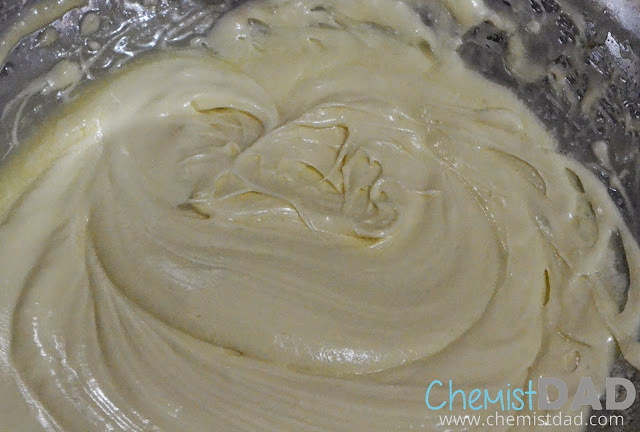 Pour sugar mixture with a slow stream in egg yolk while beating continuously. 5. Continue beating until cooled. 6. Add small portion of butter at a time and continue beating. 7. Repeat until all butter was added. 8. Continue beating until icing becomes smooth, creamy and fluffy. 1. 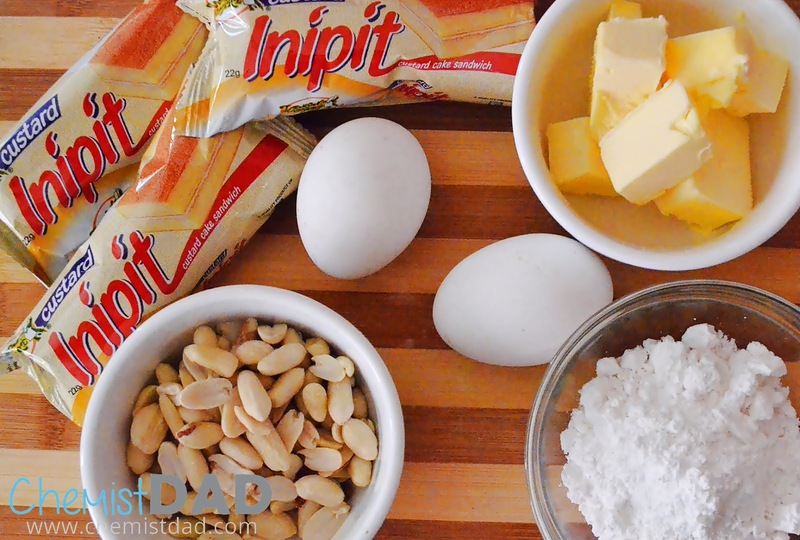 In a cupcake mold, place toasted Lemon Square Inipit. 2. Add a layer of icing. 4. Repeat until cup is filled. 5. Decorate the cupcakes the way you want. Where to Buy Father's Day Gift? Caltex’s Tie-up with Happyplus Card is Back!